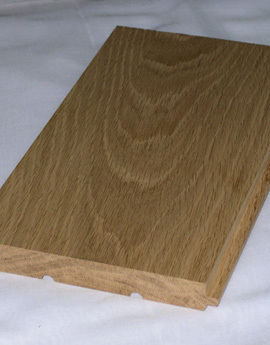 Solid wood flooring consists of a single piece of machined and sanded hardwood timber. All our flooring is made from FSC certified hardwoods such as Oak, Ash, Hornbeam, Beech or even tropical woods such as Jatoba. We can supply European FSC hardwoods such as Walnut, Cherry, Alder and FSC tropical woods such a Tiger Wood and Ipe, all subject to availability. Solid wood flooring has tongue and grooves and comes in finished or unfinished form. A pre-finished floor will be sanded to fine smooth state and either lacquered of finished with our hardwax oil. The type of finishing process depends on the species and origin. Unfinished floors require sanding and the application. With unfinished floors colour stains be used to change the appearance of the wood to suit personal taste. Solid wood flooring is a flexible option as it can be resanded, and re-varnished or re-oiled and even stained in a new colour years later. A Christina Meyer solid wood floor is designed to last a life time.